Preview The New ¡MAYDAY! EP – ‘Thrift Store Halos’! If you want to get a taste of how dope the upcoming ¡MAYDAY! EP is going to be, well now you can! Amazon.com has just made available the samples from the EP and from what we can tell, Thrift Store Halos is going to be a cinematic gem. 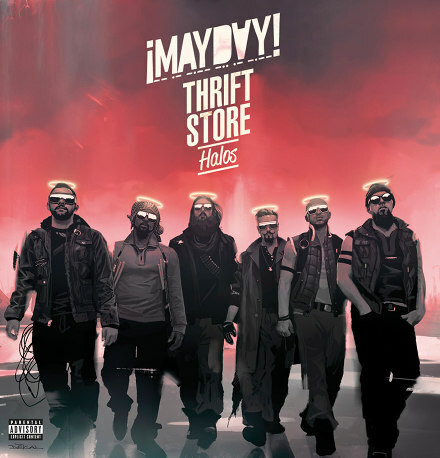 Full of dreamy instrumentation, hard-pounding grooves and some more stunning choruses from Wrekonize, Thrift Store Halos should only boost the already-awesome reputation ¡MAYDAY! has for putting out insanely-good product. From the rough and ready “Death March” featuring Brotha Lynch Hung and CES Cru to the thumping “Exile”, this is an EP you would be crazy to miss. Preview Thrift Store Halos below! Leave your thoughts in that comments section below!